Established in 1991, we are experts in the repair and installation of commercial and domestic roofing. Those Roofers work throughout Clare and understand perfectly that making the right choice when replacing or repairing a roof is vital as there are many important factors to be considered. We can help you make the right choice. 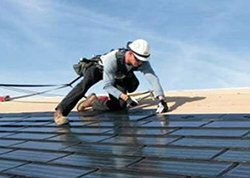 We carry out all types of roof works from minor repairs and maintenance to complete renewal and restoration. From new roofs to re-roofing or repair, Those Roofers connects you with experienced and certified roofers. When time is money, Those Roofers take the guesswork and uncertainty out of finding the right roof repair for you. 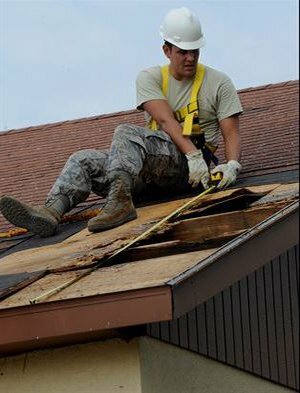 Those Roofers offer a roof repair and roof inspection service, so if there are any problems we can find them and fix them before they cause interior damages. You’re in good hands when you hire Those Roofers. Whatever the problem we will provide you with a friendly and professional service and at a very competitive price. If you have a question that needs answering please contact us today and we will be happy to assist you. 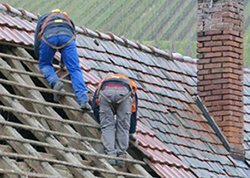 We provide emergency roofing repair day or night, right across the Munster. We are flat roofing contractors and specialise in repair, installation and replacement of all types of flat roofs in Munster. Those Roofers provide a gutter repairs and maintenance service to customers throughout Munster. 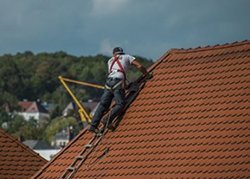 We offer a unique and wide range of roofing services from Attic Conversions to full Home & Office Renovations and Garage Conversions. We also offer a complete house or apartment revamps, undertaken from start to finish which can increase the value of your property. All our work is carried out by highly trained staff with years of experience in carpentry and building trades. “Noel recently built my new Art Studio at the rear of my home last year. I couldn’t praise Noel too much for the standard of work provided, he is extremely knowledgeable about all modern building and Energy saving methods in his business and was very helpful throughout the complete building time from start to finish. To that end, I hope he will be available to build a planned new extension to my home later this year”.